The American rapper and singer will perform at the 1OAK pop up over the Abu Dhabi Grand Prix. 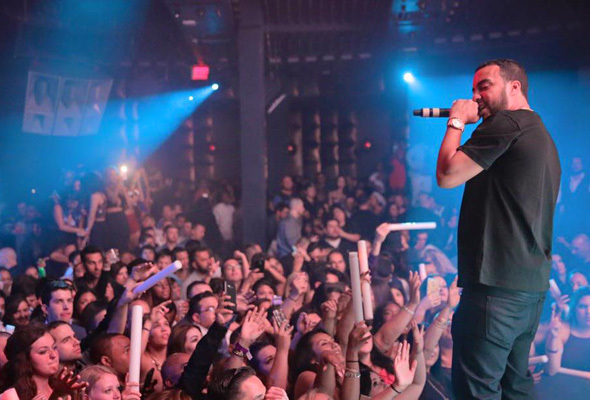 The rapper will be performing at 1OAK Yas Island, a pop up of the Las Vegas super club, on Sunday November 26. 1OAK will be open above Cipriani on Yas Island for three nights over the race weekend, in the spot formerly occupied by VIP room. Montana, who has produced two studio albums, began releasing music in 2007, though only rose to fame after his breakthrough in 2010. The three-time Grammy nominated star has since collaborated with rap royalty including Rick Ross, Jay Z and DJ Khaled. He joins an already impressive line-up of stars descending on Abu Dhabi for the final Formula One race of the season. Popstar Pink, DJ Calvin Harris, Indie band Mumford and Sons and rapper Kendrick Lamar are all confirmed as the F1 after race concert performers. Busta Rhymes, Craig David and Rick Ross will also be putting on a show at Yas Island. They will all be performing at the Palm Garden nightclub at Yas Viceroy Abu Dhabi on consecutive nights starting from Friday 25 November as part of The Rich List’s fifth anniversary celebrations. Also descending on the capital for the Abu Dhabi weekend are Carl Cox, Tiesto and Martin Garrix. The three legendary DJs will all perform at Beyond The Track hosted at du Forum, and unlike the main event concerts, you don’t have to buy F1 race weekend tickets for these nights out. Who else are you hoping will join them?